There is a large body of evidence, both clinical and anecdotal, which reveals natural, effective treatments for cancer. If you take the time to study the information presented in the DVDs and sources below, you will be astonished at how very effective they are. Many of them are, by far, more effective than mainstream medical establishment treatments. There is a second side to this story. We have to understand why these inexpensive, natural treatments are black-listed by the medical establishment. Follow the river of money. The first video listed, The Forbidden Cures, starts with an excellent segment explaining the impoverished view of the medical establishment that is motivated primarily by money. It will require courage to run counter to the advice being given by your oncologist. Take as much time as you need to explore. Don't let them scare you or pressure you into acting immediately. The videos listed below are the best on this topic. Most can be watched for free on the internet. Watch them all and watch them more than once. Take control of your fate. Become educated. 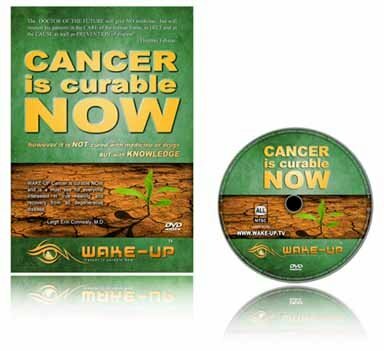 If you know anyone suffering from cancer, these are some of the best DVDs for effective alternative cancer cures. 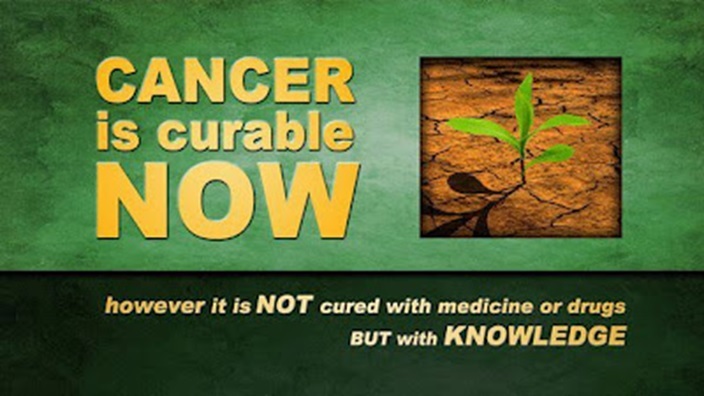 An exploration of several very effective and long standing natural cancer treatments including an excellent introduction explaining why mainstream medicine does not promote them. This is a feature length documentary that could bring millions of cancer sufferers to embrace alternative cancer treatments. 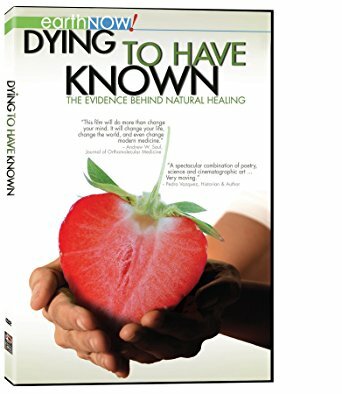 This film assembles over 30 holistic professionals from around the world who have been laboring passionately in the cancer field - scientists, doctors, writers and researchers. Most likely you have encountered many of them on TV and in books. This is a distillation of their knowledge and experience in nearly two hours of informational fireworks and profound, sometimes shocking, insights. It is professionally done with wonderful animations and cartoons. Marcus Freudenmann and his wife Sabrina who is a naturopathic MD, journeyed around the world with their 4 children for nearly three years to talk to and interview these experts. 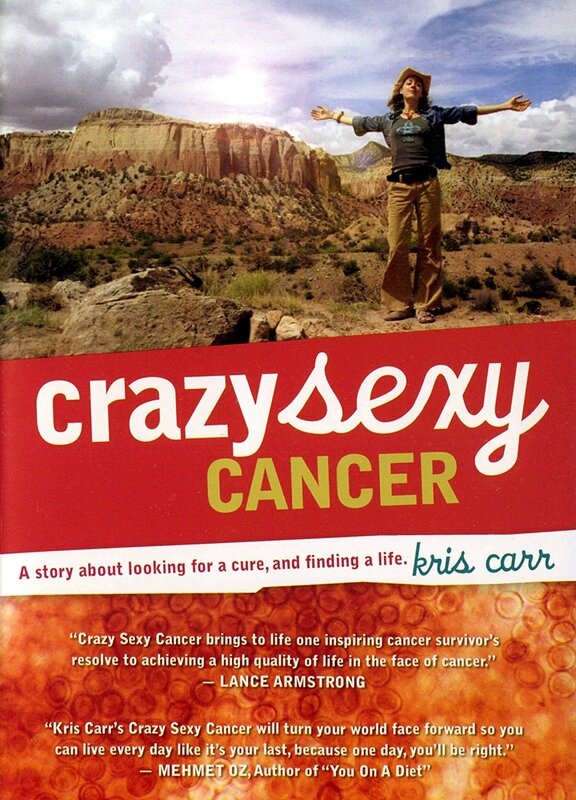 Their mission was to put together a DVD about natural cancer treatments that would wake up those who viewed it. They interviewed a large contingent of English_speaking experts as well as many scientists and physicians in the German and Mexican clinics. On display are the treatments used in the top-drawer clinics worldwide such as insulin potentiated treatments, ozone therapy, hyperbaric oxygen therapy, and the many forms of hyperthermia. The doctors are explaining how these treatements work. This is the fascinating and riveting story of Dr. Stanislaw Burzynski, MD and PhD in biochemistry, who won the biggest and quite possibly the most intriguing and convoluted legal battle agains the Food and Drug Administration in the history of the US. His victorious battles with the US government involved Dr. Burzynski's belief in and his commitment to a non-toxic, gene-targeted therapy which he called Antineoplastins. Dr. Burzyinski has 40 years of astonishing conquests over cancer curing heretofore incurable brain tumors and all other types of cancer. 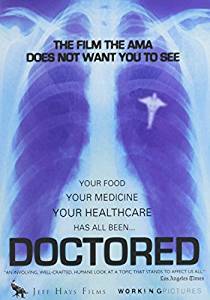 There is a second Burzynski movie available which is not on YouTube but can be purchased on Amazon. Renowned filmmaker Steve Kroschel takes a 53-day journey to explore evidence which supports the effectiveness of the Gerson Therapy. Originating in the 1930s with German born Dr. Max Gerson, who was described by Albert Schweitzer as the "medical genius of our time," this natural cancer treatment has endured whithering suppression. Steve's travels take us to Mexico where the Gerson Clinic thrives today and also stops in New York, Japan, Spain and Holland. At the end of the film, Steve presents the testimonies of surgeons, scientists, nutritionists and patients all of whom give testimony to the effectiveness of the therapy in not only curing cancer but other debilitating diseases. He presents hard scientific evidence to back all this up. Jim Humble discovered MMS as a means to cure malaria amongst the workers in his silver mine in South America. It also cures many other things including cancer 95% of the time. This is a very cheap mineral solution that we have used for over 100 years as a water purifier and for other uses. Jim does not sell MMS as it is cheap and commonly available online. He does sell the book shown here which explains what it is, how it works and how to treat various maladies. He is independently wealthy, retired and has devoted his life to the promotion of MMS as a humanitarian mission. And is Big Pharma upset about this! MMS would cost them billions. Order this book from Amazon and read it. Do a search on YouTube for "MMS testimonials." 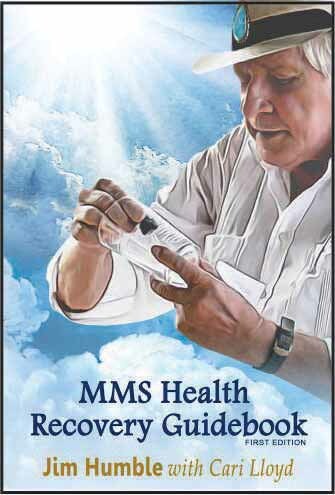 There is an excellent documentary titled Understanding MMS. It is out of print but can often be found by doing a search on ebay. Before you read anything - especially Wikipedia - Go to the page link just below and read the introductory information about MMS. The previous version of his book is available as an ebook on Amazon. 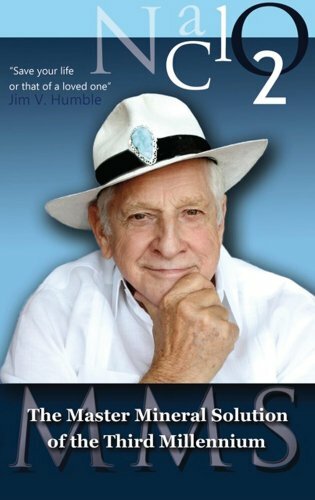 It recounts the history of MMS and Jim's struggles to make people aware of it. Very interesting. The newest book shown in the picture above is focused entirely on how to use MMS and how to treat various physical conditions. 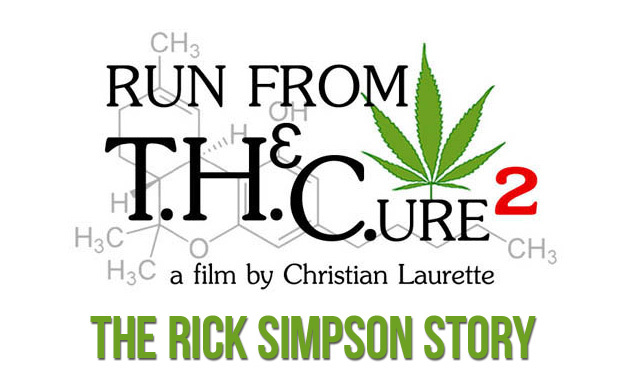 Rick Simpson discovered that by distilling hemp oil from marijuana, all types of cancer could be consistently cured along with a host of other diseases. Rick would produce the oil and give it away for free and this he did many times. The results are astonishing. It turns out that the human body also uses and manufactures the cannibas canabinoids such as THC and has receptors for these. Also do a search on the internet for "hemp oil cancer." Reported in the New York Daily News (8-28-14): "Though a documentary, it's dramatic enough to be reminiscent of 'The Insider', the whistleblowing thriller about Big Tobacco." 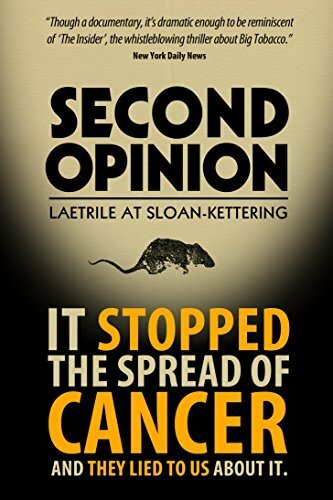 The War on Cancer which was launched early in the 1970s, created the climate for a massive influx of fresh ideas as to how to fight cancer. Sloan-Kettering was the leading cancer research institute at that time. It was given the task of experimenting with and testing an alternative natural therapy called "Laetrile" as an attempt to dampen the publics misplaced hope in the alleged "quack" therapy. As it turns out, the therapy worked which prompted a denial and a cover up. This is the DVD the AMA does not want you to see! The medical-industrial complex spends millions of dollars every year in an attempt to ridicule, attack and discredit natural therapies. Doctored takes us to the world of 5 chiropractors who applied natural therapies to their patients, but they were branded as an "unscientific cult." In this film, we see how they battled in court and were victorious with a landmark verdict. Their heroic acts form the basis for one of the most intriguing and compelling documentaries ever made. Because of them, the medical machine is no longer preventing access to natural, safe alternatives. Popping of pills is being replaced by more intelligent preventative care. Disease mongers are being pushed aside which results in a healthier life for all of us. Doctored also looks at the "influencers." These are the people who strive to make every person into a pill popping cash cow. More of modern medicine is taken up with slick marketing from pharmaceutical companies the profit when we are in pain. Why aren't we being advised about these successful natural therapies? The answers will shock you! This can be streamed from Gaia.com, purchased as a disk from Amazon or rented on Amazon. A compelling documentary in two parts. The first explores the effectiveness of chemotherapy which, according to studies, is very small with a few exceptions. Drug companies pull the wool over our eyes by using deceptive statistical statements and this is thoroughly explained. The second part explores the role of diet in allowing our own immune system to remove the cancer. This DVD is available for a little over $10 US on Amazon. It is not posted on YouTube but here is a trailer which is itself very informational. Kris Carr tells her story as to how she managed to get liver cancer under control. A very entertaining and well made DVD. This is an expensive one clocking in at $40 on Amazon. Netflix also has it as a DVD if you have a disk subscription. 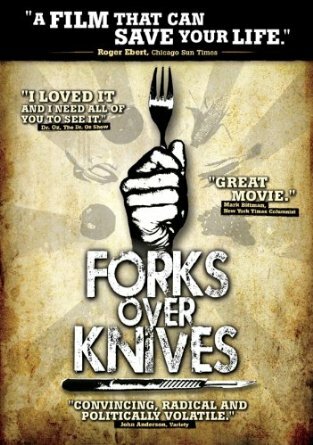 Very inspiring documentary. An actress by trade, Kris does a good job of making the presentation. Her approach is diet oriented. What the heck has happened to us? In spite of the fact that we have the most highly advanced medical technology in the world, we are getting sicker than ever before and by nearly any way you want to measure it. Two out of three persons are overweight. Incidences of diabetes are skyrocketing and especially amoung the younger population. Approximately half of us are popping at least one prescribed drug. Major surgeries and proceedures have become commonplace serving to push health care costs out of the stratosphere. Cancer, heart disease and stroke are the countries three main causes of death and this despite the fact the billions are spent every year to wage war against these diseases. Millions have sucumbed to a myriad of other degenerative diseases. Is it possible that there is a single solution for all of these afflictions? A solution so comprehenive and yet so astonishingly straitforward, that it boggles the mind that more of us haven't given it serious consideration? 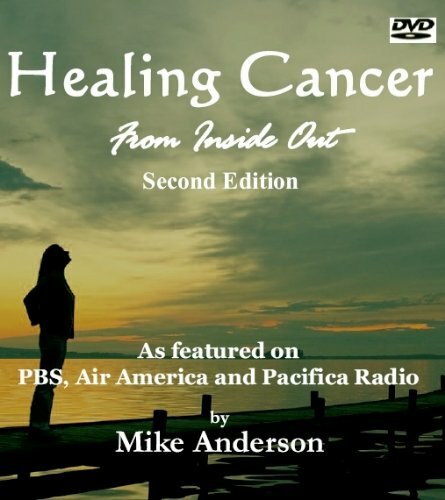 This is a must watch DVD for anyone who wishes to recover from cancer. It is not on YouTube but can be purchased as a DVD on Amazon and also can be streamed on Netflix or rented as a DVD. "Healthy eating may be best achieved with a plant-based diet, which we define as a regimen that encourages whole, plant-based foods and discourages meats, dairy products, and eggs as well as all refined and processed foods." The entire Kaiser Permanente bulletin may be read here. In addition they have published an awesome, full-color, well-illustrated 20 page pamphlet to explain why we should adopt a WFPB diet and how to do it. Click here to read it as a pdf file. Here is a nice short video about Kaiser's plant-based diet recommendations. This is something your doctor will most likely know nothing about. A medical test for the detection of cancer that is 99% accurate has been available to us for over 25 years. The test is risk free and it is more accurate and less expensive than any other test. It is known as the Anti-Malignan Antibody in Serum cancer test also know for short as AMAS. A doctor will be necessary to assist you with this. Go to the website of Oncolab who administers the test. They will explain everything and there is a tab which will provide you with a list of doctors in your area that can assist you. If there is no doctor listed in your locale, Oncolab will send you a free kit but the test itself is $250 which is paid when you order the kit. You will take the kit with you to a local lab and have blood drawn and processed. Then you ship the blood sample with dry ice to Oncolab. Then it can be determined if there are specific cancer anti-bodies in your blood. There is a great advantage in having this test available. When using any alternative protocol one can retest in a month or two to determine of progress is occuring. Mainstream medicine does not like these tests due to the fact that they can show a positive indication while at the same time there is no other visible or detectible sign of cancer. The reason for this is that, on average, a single cancer cell must multiply and divide for roughly ten years before it reaches the barely detectable size of one centimeter. In other words, the cancer can be there for ten years before it becomes visible or obvious. If it is not apparent to orthodox means of detection, then doctors have no way to determine standard treatments. With this test, one has the opportunity to erradicate the cancer before it becomes visible. The following banner is a link to a website that sells a kineseology test kit. This consists of small vials with samples of various teas and cancer curing compounds. The idea is to take this to a healthcare practitioner that regularly does muscle testing (kineseology) and find out which of the substances that one's body prefers. It is advisable to go to three or more of these practitioners to get a firm consensus. This website also has a wealth of information on alternative treatments. This is a non-toxic alkaline mineral salt and it has been applied to medical treatments since the 1800s. It has found success since the 1980s in treating cancer patients. It is noted for its quality of removing the pain of cancer. Click on this link to read more. Also know as eschartics because they produce an eschar or dead tissue plug that eventually falls out. These are used as treatments for skin cancers and most contain the essential ingredient of bloodroot. Some other names for these salves are Black Salve, Compound X and Indian Mud. Bloodroot is one of the primary ingredients in the Hoxey treatment and Essiac Tea. There is a great documentary about Harry Hoxey titled Hoxey: When Healing Becomes a Crime which can be watched for free on YouTube. This is a fascinating story going back to the 1950s. Check with a site called Black Salve info and also Cancer Salves. There is a wonderful book on this subject titled Cancer Salves by Ingrid Naiman available on Amazon. 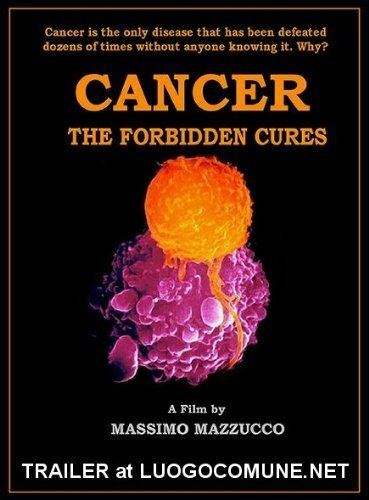 If you watched the free DVD Cancer: The Forbidden Cures, you discovered the story of Rene Caisse and Essiac Tea. Here is a website that sells the tea and has more information about it. You can also grow the 4 basic herbs and make your own which might be the best route - fresh herbs. Research has shown vitamin D deficiency to be involved in 17 types of cancer which include prostate, breast, and colon. Click on the following link to read more about Vitamin D and Cancer. Dr. Otis Brawley, the senior medical officer for the American Cancer Society, told the New York Times on October 21, 2009, “We don’t want people to panic but I’m admitting that American medicine has overpromised when it comes to screening. The advantages of screening have been exaggerated.” Read more about Mammogram Risks and PSA Prostate Screening - click here. In the 1930s, a man by the name of Royal Rife invented a device that used multiple radio frequencies to eliminate cancers. At the University of California Medical Center he was provided with 16 terminal cancer patients who had not responded to the array of orthodox medical treatments of the day. Rife cured all 16 of their cancers. 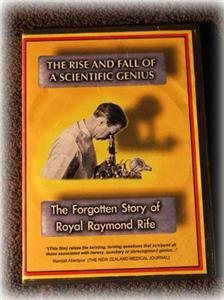 Here is a wonderful, free YouTube documentary about Rife who also invented the most astonishing microscope ever invented and this holds true to this day. The two best Rife machines available today are the Bedini-RPX and the GB-4000 frequency generator used in conjunction with a M.O.P.A. rf amplifier and plasma gas tube. The GB-4000/MOPA/gas tube can be purchased on-line. One can purchase a two DVD set and book by John Bedini on the theory and construction of a less expensive but equally effective Bedini-RPX Rife machine at this link. The RPX unit can be purchased ready made at this link. There is a substanial culture and group of users and experimenters with Rife machines. There are also non-allopathic practitioners such as chiropractors and naturopaths who have Rife machines and who will administer treatments. There are also online forums and chat groups for Rife technology such as Rife Forum. DCA is a relatively non-toxic, small molecule and very inexpensive. Clinical researchers and scientists at the University of Alberta are advocating that it could be utilized in the very near future as an effective way to treat a broad range of cancers. A clinical researcher and professor at U of A, Dr. Evangelos Michelakis, has clearly demonstrated that DCA will bring about reduction in a number of cancers including lung, brain and breast. Dr. Michelakis and his co-workers which include Dr. Sebastien Bonnet who is a post-doctoral fellow, have published the results of their research efforts in the prestigeous medical journal Cancer Cell. Doctors and medical clinicians have used DCA for many decades as a therapy for metabolism errors in children that appear with mitochondrial diseases. The energy creating mechanisms in the body cells are the mitochondria and have been linked with cancer since the 1930s. It was then that clinical scientists first recorded dysfunction in these organelles when cancer is growing. Dr. Michelakis and his research team discovered that DCA brought mitochondrial processes back into a normal state in many cancers. Even more importantly, they found that when the mitochondrial processes return to normal, the result was a stark inhibition of tumor growth and replication in both animal and test tube subjects. They also recorded that DCA did not have any adverse effect on normal cells. "I think DCA can be selective for cancer because it attacks a fundamental process in cancer development that is unique to cancer cells," Michelakis said. "One of the really exciting things about this compound is that it might be able to treat many different forms of cancer". The University of Alberta is continuing with clinical trials of this very promising cancer alternative therapy. Click here to read more about DCA Cancer Cure and Treatment. Many cancers produce a waisting away effect known as cachexia and all too often cancer patients die from this rather than the disease itself. This condition produces an under-nourishment of the body and it simply whithers away. It was discovered in 1968 by Dr. Joseph Gold, MD, Director of the Syracuse Cancer Research Institute, the the chemical compound hydrazine sulfate could bring an end to cachexia which would give the body the opportunity to build strength and continue to fight the disease. The compound produces a gain in weight if weight has been lost. It enhances the feeling of well-being and stimulates the appetite. The mechanism for this to occur is to impede the liver's ability to convert lactic acid to glucose a process known as gluconeogenesis. Cancer cells feed on blood glucose (sugar) which encourages rapid cell growth. By putting up a barrier to the lactic acid conversion process, the compound reduces the cancer while allowing regular body cells to prosper. In this way, a vicious cycle is reversed. Hydrazine sulfate is inexpensive, commonly available and it can never be patented which makes it worthless to drug companies. Because of Big Pharma's overreach, the FDA has prohibited chemical companies from marketing the compound to the public. However, a search on the internet will locate a good source. At this link Dr. Gold discusses the expected negative commentary from Big Medicine and Big Pharma. Laetrile is a naturally occuring substance found in a variety of foods such as buckwheat, cassava melons, peach, apricot and apple seeds and millet. Dr. Harold Manner, PhD, was the first to perform extensive tests on laetrile. At that time he was the Chairman of the Biology Department at Loyola University located in Chicago. His research found that laetrile was non-toxic and, when accompanied by certain enzymes and vitamin A, it stimulated the manufacture of antibodies that inhibited and destroyed tumors of the breast in mice. There was complete and total regression in 76% of the mice that received the treatment. Dr. Manner was subsequently attacked for making this discover which led him to resign as Chairman of the Biology Department and open a clinic in Tijauna, Mexico. There are other clinics as well that include laetrile with their protocol. You can contact the Cancer Control Society for a list of these clinics all of which are in Mexico. They also offer much more information and host an annual conclave for the exploration of alternative cancer therapies. 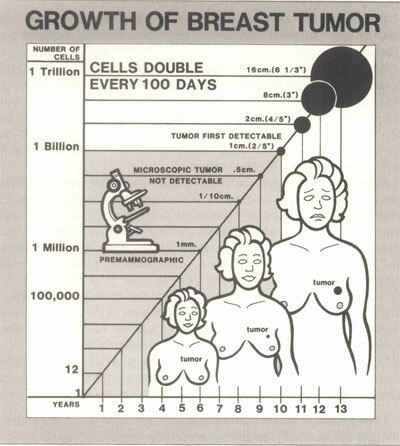 When a tumor becomes large enough to be detected, it has been growing there for about 10 years. On average, cancer cells double every 100 days and it takes a billion cells to reach the size of 1 centimeter which is the size that begins to be detectable. Often a tumor is discovered and then a few months later more tumors are discovered. The secondary tumors didn't just spread from the first tumor. They were already there growing for the past 10 years. When a patient is told they have no more tumors, it means they have no more detectable tumors 1 centimeter or larger. There may still be smaller seed tumors or cells. If the cancer recurs later as it often does, it is the result of the growth of these smaller seed colonies. The cancer was never cured it was only trimmed back. Credit to Dr. John McDougall, MD for the chart. The information on this page is offered for academic and experimental purposes only. Consult with your professional health care practitioner before using any alternative therapies.